The country that invented tapas understands the concept of sharing. But baking that idea into Spain’s regulatory policies is proving to be more difficult. Startups like Airbnb and Uber that are driving the global sharing economy are meeting stiff resistance from Spanish regulators bent on shutting these companies down and stifling the job creation powered by tech innovation. In August, Barcelona Mayor Ada Colau announced she wants to fine companies like Airbnb and Booking.com, if apartment listings aren’t registered with the Catalan tourism register. And in what is surely a head-scratching move for many Barcelona businesses, the mayor has imposed a moratorium on new tourist accommodation – including hotels, B&Bs and rental homes And this from a country with a record-setting amount of tourists this year – 38 million through July alone. Ridesharing services have also come under the critical eye of Spain’s regulators. Last year, Spain bowed to the special pleadings of traditional taxi drivers and banned Uber. Meanwhile, Barcelona’s tourism economy is booming. The city hosted 7.6 million visitors in 2013 – up from 1.7 million in 1990. Today, tourism accounts for 14 percent Barcelona’s economy. More tourists means more demand for hotel rooms to rent, and more money for local businesses, which can then hire more help. Ridesharing services such as Uber are convenient and affordable transportation options for Barcelona tourists and residents alike – in line with the city’s “smart city” initiative to reduce traffic and helping to ease the burden on public transit systems. And Barcelona has historically embraced innovation, from the art of Picasso to the architecture of Gaudi to the dazzling soccer improvisation of Lionel Messi. By opposing sharing economy startups, Barcelona rejects this legacy and moves in the wrong direction. Spain’s decision to strong-arm Airbnb and Uber is an unnecessary, self-inflicted economic wound, given that Spain’s gross domestic product is still struggling to recover to levels prior to the global financial crisis. 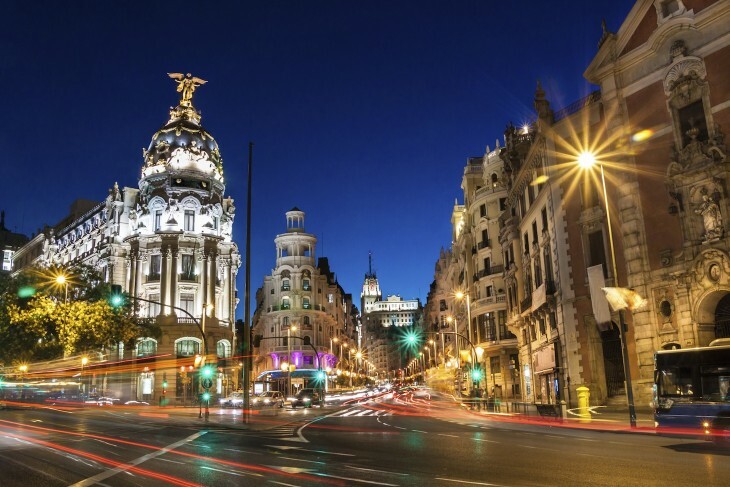 The country’s population has grown 19 percent since 1996, but the number of taxis in the Spanish capital has remained relatively unchanged. Meanwhile, stimulating jobs is no small consideration, given that Spain’s unemployment rate sits stubbornly above 22 percent. In July, Uber announced that its legal battle for authorization to operate in Spain had been referred to the European Court of Justice, though a decision isn’t expected from the ECJ before the autumn of 2016. Uber’s chief EU lobbyist Mark MacGann told TechCrunch he’s hopeful that taking the case out of local hands in Spain will give the company a result more in keeping with the EU’s larger ambitions for a more digital society. A European Court of Justice decision in Uber’s favor next year would presumably supersede any attempts by lower-level officials in other EU nations, including France and Germany, to ban or rigidly regulate the ridesharing service. It will be a long wait, but for the sake of technological innovation, job creation and economic freedom, European consumers should fight for a favorable outcome. Spain’s Economy Minister Luis de Guindos said recently that Spain is serious about being an economic-growth “role model” for Europe. If so, its regulators should begin the process by removing the roadblocks they have placed in Uber and Airbnb’s paths and embrace the economic potential of the sharing economy. Read next: Perfect your creations with the Dream Design Bundle - pay what you want!